(51) Photos Printable Brochure Apply For Credit Text Us About This Vehicle! 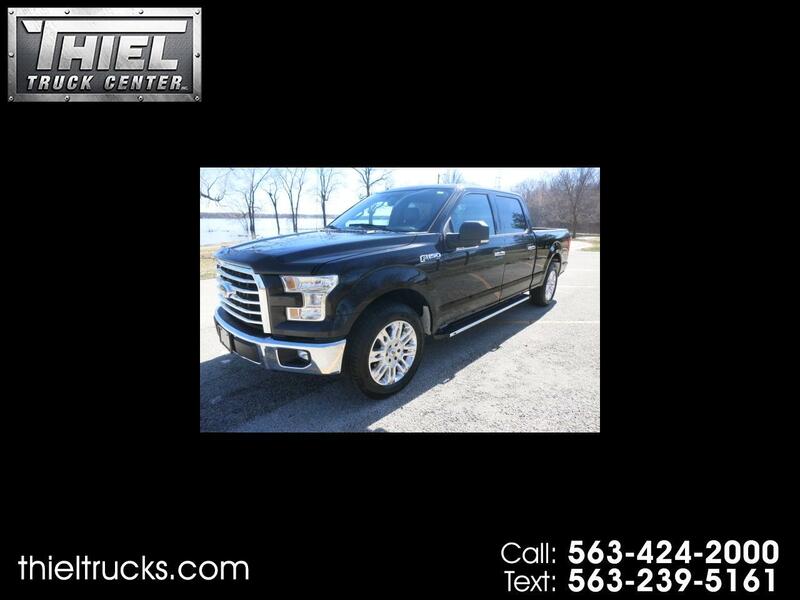 ****** MUST SEE ***** 2015 NEW BODY STYLE F150 CREW CAB ***** ONLY $23,995 *** Here is a great truck at an even better price! This Sharp looking 2015 F150 Crew Cab 4x4 just arrived and it needs to be seen. Sharp looking black truck with many options including 20 Inch wheels, Bucket seats, Power seat, Tow package, Back up camera, Step tubes, Spray in bed liner, Tailgate step, Sync Bluetooth, Remote start, power pedals, and more. If you have a trailer or camper to pull, this truck has the power to do it. Under the hood is a big 5.0L V8 engine for improved power and fuel mileage. This F150 is a Carfax Certified 1 Owner and 100% accident free. Not only has the truck just been fully serviced and inspected, but it comes with every service record and near new Goodyear tires. This is your opportunity to buy a decked out new body style F150 for a price that you can afford. Don't pass up this deal. Call or Text us now!